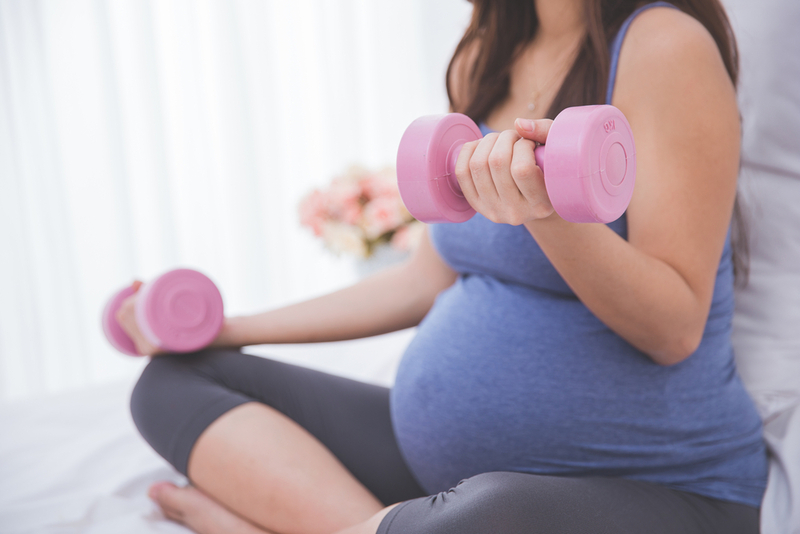 Exercising during pregnancy is important to keeping you strong and healthy for your baby, and the simple workouts for expecting mothers can be really exciting. But you know what they always say: It’s all fun and games until somebody gets hurt. We all know the benefits of exercise at any stage of our life. If we move more, we feel better and with the right diet too, we can look better. It’s no different in pregnancy. Our body is subjected to massive changes, both physically and mentally, and exercise can help us to adapt better. Not only will it help to manage weight gain, an inevitable part of pregnancy, but we’ll have the energy to fight back at those raging hormones, which can send some of us a little loopy – again hard to avoid during those nine wonderful months! What’s more, studies have found that following the right programme of exercise during pregnancy will lead to a happier state of mind, more (or better) sleep, and even an easier labour. Sign me up now! Exercise during pregnancy is not dangerous if you take the proper precautions but there are some sports you should avoid. We asked our expert gynaecologist, Dr Peter Chew to explain. “The dangers that may arise are the types of exercise that are likely to result in injuries to the mother and the baby, says Dr Chew, who runs the Peter Chew Clinic For Women at Gleneagles Medical Centre. For most women, continuing with your regular routine is ok after the first trimester, but it is a good idea to adapt your workout to how you feel that day. In particular, you should also consider the stage of your pregnancy and if you are experiencing a smooth or high risk pregnancy. For all women, you need to be more aware of your body and its limitations during pregnancy. Listen to your body during exercise and always stop if you feel like you are exerting yourself. If you are concerned, it is best to always visit your practitioner. If you normally enjoy contact sports as part of your regular exercise programme or enjoy a bike ride outdoors, here are some sport swap ideas to help you have the same effect! Swap kick boxing for yoga. You may not get the same level of sweat but yoga will concentrate on improving core strength and muscle tone. Swap cycling outdoors for a brisk walk. You can still enjoy the cool breeze and lush greenery of your route without the danger of falling. Plus, you can take hubby along for the ride! Swap horse riding for squats. Pregnancy safe squats will help you to strengthen your legs and glutes, the main muscles worked when horse riding. Swap skiing for swimming. You won’t get snow but swimming is a relaxing and independent sport that leaves you feeling weightless. It’ll strengthen your arms, core and legs without you even realising!